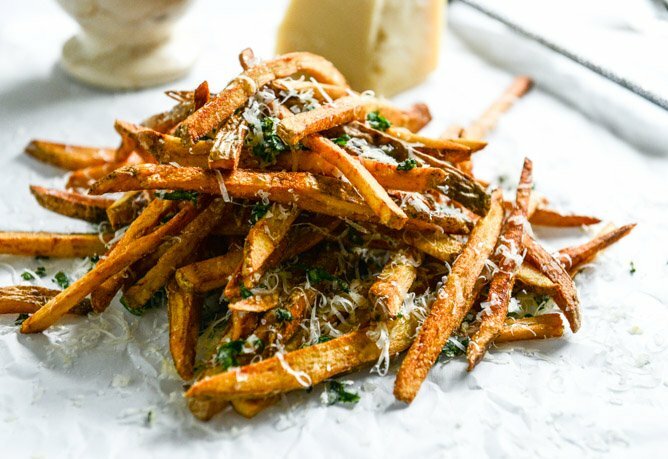 Herb Salted Garlic Parmesan French Fries. Friday fries! We’re doing it. Especially because if there is a time a place to eat fries, it’s Friday. And Saturday. And Sunday. And according to me, Thursday. This is the second part of those coconut curry mussels that I shared last week. 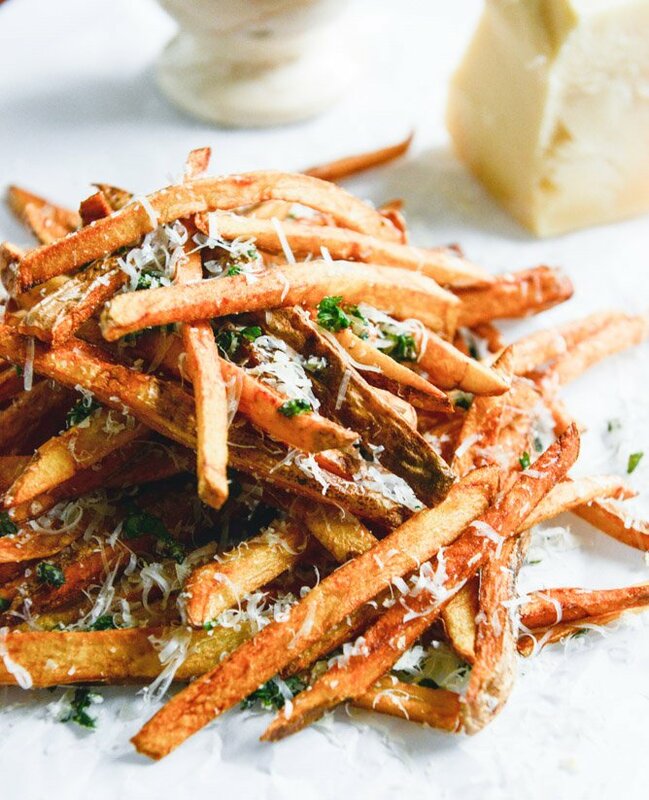 And well, if you don’t think that parmesan garlic fries go with coconut curry… then you’re wrong. Simple as that. Now I’m kinda weird about the whole fries-with-mussels thing. I like to eat fries WITH my mussels. But I don’t care about dipping them in the juices or broth or anything. I’d rather eat them on the side. Maybe one dip here or there. But that’s what the bread is for! DIPPING. So when you make those mussels, just serve both fries and bread and plan on taking a little carbcation that evening. It’s for the best. Escape. No really. Take a trip into your own fry world this weekend please. These fries are extra special. I did the whole fry-twice thing and unfortunately, as high maintenance as it is, it works. Now don’t get me wrong, I still love oven fries and make ‘em on the reg. But there is nothing like these super thin crunchy fries when you want them. I like to mix a bunch of herbs with some flaked sea salt to create… an herb salt. If that’s a thing. I’m calling it a thing. It’s a thing now! 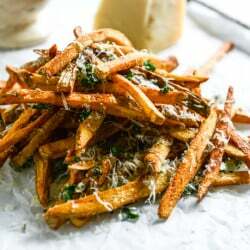 And then I also like to smother the fries with freshly grated parmesan because DUH. Add the sliced potatoes to a bowl of ice water and let them sit for 30 minutes. AFter 30 minutes, remove the potatoes and place them on one or two towels, patting them as dry as possible. Cover a baking sheet or two with paper towels. Add the oil to a large pot and heat over medium heat until the temperature reaches 350 degrees. You can do this while the potatoes are soaking. You really NEED to use a candy thermometer for this to ensure that the oil doesn’t get too hot. One the oil is hot, add the potatoes in batches and fry until slightly golden, about 2 to 3 minutes. Remove the potatoes and place them on the paper towels to drain. Let all of the potatoes cool for about 10 to 15 minutes, then make sure the oil is still at 350 and fry them in batches again. This time, you want to fry until they are even more golden and maybe a little puffy. 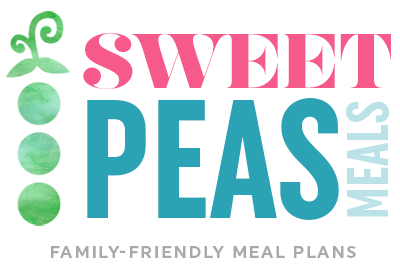 Remove and place on the baking sheet again quickly, but this time you can let them drain for a second and them throw them on a plate or a sheet of parchment paper. Cover immediately with lots of the herb salt. Add the parmesan and toss, toss, toss. Taste to see if they need more salt or cheese. Of course they do! Combine the basil, cilantro, parsley, oregano, salt and garlic powder in a bowl and mix until combined. I could take a nap on that pile. Fries mon préféré! ! ! If you ask me, the best day to eat french fries is any one that ends in -day. ;) Second, these look so stinking good. I need some ASAP. Pingback: The Only “BOWL” I’m Excited About . . . Is The One Holding My Favorite SNACK!